I am the CEO of a London-based private equity business, a day job that keeps me busy. After working many hours late into the night, finally, early last year, I managed to finish my first novel. Then I spent months polishing the manuscript before setting out to find a publisher willing to take on my shiny new thriller. Of course, I’d read how difficult it was to find a publisher for a first time novel and so braced myself for months of submissions followed by impersonal rejection letters. I spelled out in my submission why I thought there was a gap in the market and why I believed there would be a decent audience for my thriller which is based in the world of investment banking. I kept it short and related my novel to the public’s increasing interest in the financial crisis, giving my book a contemporary impression. This meant the publisher could judge whether or not there was money to be made by taking on my book. I stressed how I was reasonably well known in the private equity community and how this community was likely to include many potential buyers of my book. I wanted the publisher to see how I would be able to market my novel to an existing platform of warm contacts. It also showed the publisher that I understood how authors are equally responsible for marketing their work and that I was not going to leave this up to them. In my submission pack, I included a short bio, concentrating on my background in the financial markets. This enabled the publisher quickly to understand that I knew my subject matter well and that the financial background to the book had credibility. What happened? Well, I approached one UK publisher and one in the US. I thought there was merit in limiting it to two in the first instance. I planned to learn from them, and revise my submission based on any feedback, before approaching others. You can imagine how amazed I was when, within twenty four hours of receiving my email, I received a request for the full manuscript from the US publisher. Two days later I received a contract for the book! 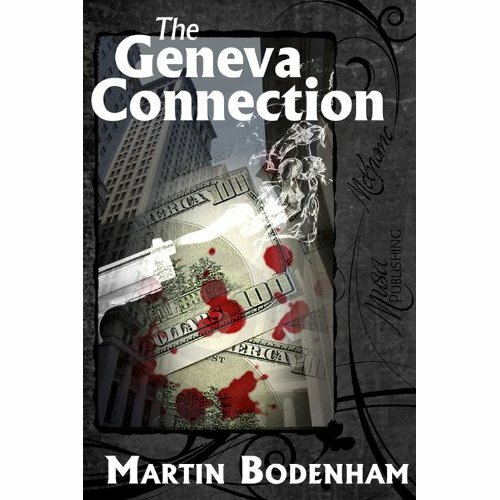 Martin Bodenham is the author of THE GENEVA CONNECTION. In his long career as a private equity investor, Martin has witnessed investment banking's greed and fear at first hand, providing plenty of dramatic material for his financial thriller novels. 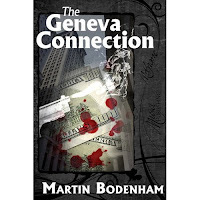 Much like Grisham does with legal thrillers, Martin sets his fast-paced plots against the real world backdrop of international finance, giving his stories authenticity and depth. 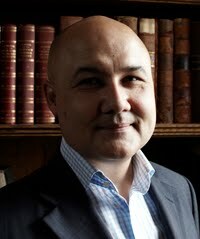 Martin is the CEO of a London-based private equity firm. He lives in Rutland, England's smallest county. Brilliant investor John Kent is living his dream. The success of his private equity firm has propelled him into the ranks of the world's super-rich, allowing him to give his family the security and advantages he hadn't known in his own childhood. But John's dream is shattered with the discovery that his largest investor is bankrolled by the most vicious drug cartel in Mexico. Then one of his partners is murdered to guarantee his silence, and John realizes he cannot go to the authorities. When the ambitious head of the DEA threatens John with incarceration, his nightmare is complete. If he resists the DEA, what will happen to his family while he's imprisoned? But the alternative is worse. For if John chooses to betray the cartel, he and his family might pay the ultimate price. Great approach to your desire.